Protect yourself on the road with Flectson's Reflective Vest. Do not compromise on your safety outdoors, especially if you love biking or jogging. You'll need to stay visible to other road users. This high visibility reflective running vest is a perfect means to reduce road accidents considerably. 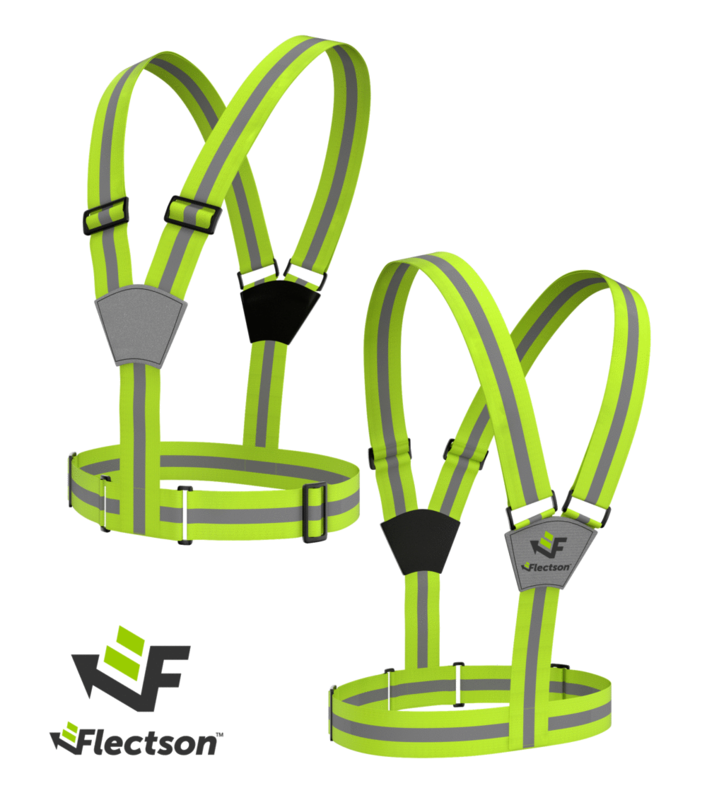 The vest is a simple belt manufactured from reflective fabric that can be worn on the upper body to increase your visibility. The reflector glows in the dark and enables the passerby to notice you clearly. It is always wiser to be safe than sorry. Get this reflective vest before you step on the road the next time, because safety matters!